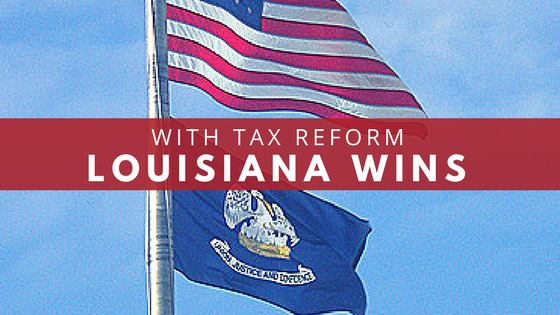 With Tax Reform, Louisiana Wins. The Tax Cuts & Jobs Act is a game-changing rewrite of our tax system that finally puts what’s best for people – not government – first. 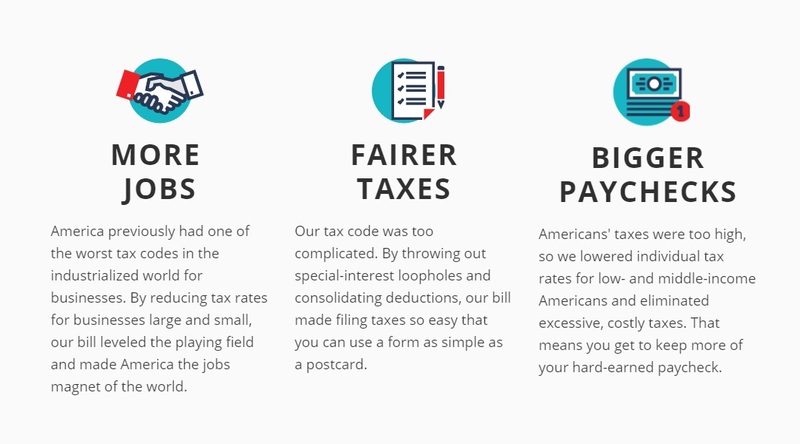 Lowering taxes across every income tax bracket, nearly doubling the standard deduction, giving people back their freedom to make healthcare decisions without having to pay a government-imposed penalty and lifting some of the tax burden on our small businesses means that Washington takes less while individuals, families and job creators keep more. That’s a good thing. The new tax law helps to eliminate the strategic advantage that foreign companies hold over America’s small businesses by providing competitive tax rates. This provides opportunities for all Americans by creating jobs here in our country not overseas and helps to increase pay for our families. And Louisiana wins: our flood and other disaster victims get the tax breaks we’ve fought for since the flood of 2016, we preserved tax incentives uniquely critical for community development, historic preservation, economic reinvestment and higher education, and the law includes a change that may result in a small increase in coastal restoration and hurricane protection funding for Louisiana by amending offshore energy revenue sharing law. Just a few months into 2018, and the benefits of tax reform are already being seen across our great nation. More than 500 companies (so far) are offering employees benefits! Many right here in Louisiana! With about $139,997,520,000 invested back into the U.S.
With at least 4,000,000 (and counting) Americans receiving special bonuses!